I’m finally home from my running around all summer. It feels good to be (mostly) home for the next nine months. Now the reason this quote has stuck with me has nothing to do with the theological differences between western and eastern forms of Christianity. Rather, it has to do with the reality that although Orthodox theology emphasizes God’s Fatherly love, many of the fathers in the church, the clergy—myself chief among them—emphasize their rights rather than fatherly love when when it comes to dealing with conflicts with their parishioners. Let me explain. 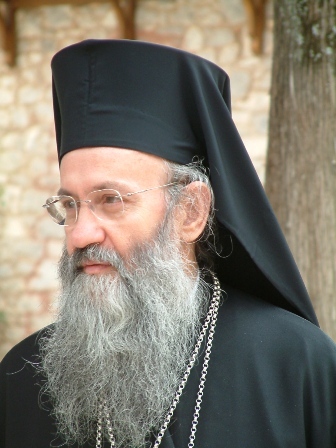 Many Orthodox clergy are quite isolated. 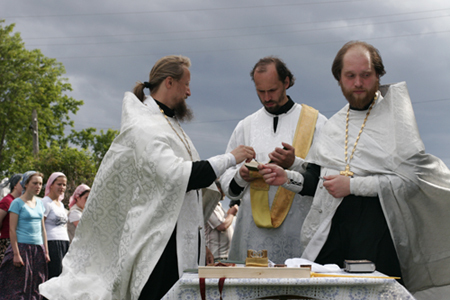 Commonly Orthodox priests live in communities where there is no other Orthodox priest with whom he can develop a friendship. There may, indeed, be a few other Orthodox priests within driving distance, but (as everyone knows) just because you share the same professional career as someone else, that doesn’t mean that you will automatically be good friends. And particularly in the case of Orthodox clergy, just because there may be a few Orthodox priests in a city, that doesn’t mean that they all speak the same language or share the same culture. 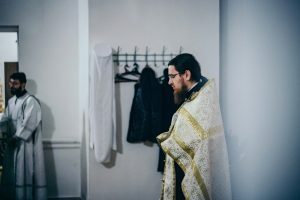 Consequently, when Orthodox clergy get together in meetings or at camps or for retreats, you will often find them huddled in small groups or paired off in intense conversation pouring out their woes, concerns, angers, fears and conundrums to one another. A theme that came up in more than a couple of the settings I found myself in this summer was the “rights” of a priest. Particularly, it came up in the context of rights of a priest vis-a-vis the parish or the parish council. For example, according to the constitution of a parish and the instruction of the bishop, a priest has a right to expect to be taken care of financially by the parish he is serving. However, I also heard the word “right” being used in another context, a context that disturbed me somewhat, and this is what I would like to look at today. The context that bothers me is when I, or any priest, speak of a right to be respected as the father of a community. Now, on the one hand, it has been the consistent teaching of the Church from the earliest days that the grace of the priesthood is to be respected regardless of the worthiness of the man who bears that grace. This principle is not that different, actually, from respecting rank in the military or the office in politics. Whether or not I respect our Queen personally, I must respect her office. On the other hand, it sometimes happens that a man bearing the grace of the priesthood speaks or behaves in ways that are not worthy of respect. When this happens, it is very difficult for priests to hear lay people as they try to communicate to him that, although they respect the grace of the priesthood that he carries, certain of his words or actions are unworthy of that very same grace. In fact, apart from a miracle, it may be impossible for a priest to hear this. Usually, the best you can hope for on a human level is that the priest’s bishop will be near enough and attentive enough to hear the bleating of the sheep, to hear their frustrations and concerns, and then to speak himself to the priest about the unworthy speech or behaviour. But even then, although it is much easier for a priest to hear and heed criticism from his bishop, even then it may be very difficult. It has been my observation that people in positions of respect and power often cannot hear the valid criticism, not only of those under their care, but even of those who oversee them. And I am not only talking about priests. I spent about 25 years in academia. If there is any position in modern society more unassailable then a priest by his parishioners, it is a tenured university professor by her or his students. I could tell you stories that would make your ears burn at the hubris and insensitivity and sometimes just plain cruelty of university professors. No, doctors, police, politicians, teachers, bureaucrats of all shapes and sizes, basically anyone with authority in society can be quite deaf when it comes to listening to the legitimate concerns of those under their authority. But, you might say, shouldn’t priests be different? Shouldn’t priests have a higher standard? 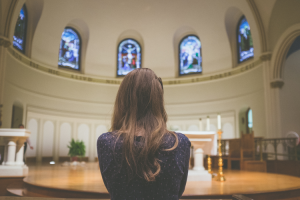 Shouldn’t priests be more—well, more Christian? Yes, I guess so, just, perhaps, as you would expect doctors to be healthier. But doctors don’t always follow their own advice either. So what should we do? What should lay people do when they have a priest whose words or actions are unworthy of the grace of the priesthood? What should priests (or any person in a position of authority) do to better hear the voice of those under their care, especially when that voice is critical of them? When a lay person is offended by the speech or actions of a priest, he or she should first and always pray. I can only speak to someone’s ears, God can speak to a person’s heart. Prayer isn’t our last resort, it is our first and only really effective response to conflict with others, especially within the Christian family. In addition to praying, in any conflict with a priest (or with any person for that matter) it’s generally a good idea to follow the advice of Matthew 18: 15-17. Respectfully, you should go to the priest privately and share you concern with him. If he doesn’t hear you, you should ask to speak to him again with one or two others. If he still refuses to listen, talk to your bishop. At this point, it is out of your hands. You have done all that you can do—at least all that you can do righteously. Of course if righteousness doesn’t matter to you, then there are all sorts of political ways to drive a priest out of a church. But think about it: if righteousness doesn’t matter to you, why are you expecting it in your priest? But you might say, “He will destroy the Church! I have to do something.” Well, in case you have forgotten, praying is doing something. Whose Church is it anyway? Do you think you care more about the Church than God does? Ours is to pray and maintain righteousness even in difficult circumstances. If we fight fire with fire, if we resort to unrighteous gossip and back-room political maneuvering to get our way, how are we acting any differently from the priest we are offended by? 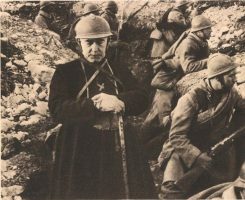 Perhaps we receive the priest we deserve, as I heard Fr. Thomas Hopko once say. From the other end, what can a priest do to listen better? Well, as a priest myself I can confidently say, I don’t know. One piece of advice that I heard my bishop give at a clergy meeting a long time ago has, however, been helpful to me over the years. He told the priests that they had to win the respect of the people through love. He said that it was not the priest’s business whether or not the people respected him. It is to the people’s advantage to respect their priest; but if they don’t, it is their business, not the priest’s. It is the priest’s calling to earn their respect through love. These words remind me of a story I once read (I don’t remember where) about a man who returned home after ten years in a communist labour camp. When he left home, his wife was pregnant. When he returned, he had a nine and a half year-old son who perceived him as a stranger and an intruder on the intimate family relationship the boy had with his mother. There was no doubt that the father was indeed the father and that he had all of the rights of a father in the family. The father had a right to be respected. But even though the boy neither respected nor trusted the father and saw him only as a stranger, the father loved the boy. Yet the boy was incredulous. Even the words of the mother were unhelpful; in fact, her exhortations to him to respect his father only made matters worse. It only made the boy more confident that the father was an outside, corrupting influence destroying his family, and her earnestness even led him to consider running away. The wise father realized the boy’s frustration and anger, and very slowly, over a couple of years, worked to earn the boy’s trust and eventually his respect and love. I have come to think that this is how I must learn to relate to my parishioners. On the one hand, I have been ordained and assigned by the bishop to pastor a certain parish. The “rights” or respect associated with this ordination and appointment are not in question. However, on the other hand, like the nine and a half year-old boy in the story, my parishioners do not know me. I am a stranger, an outsider to them. If I insist on my rights, if I insist on their respect, then there is a good chance that I will alienate some people in the community giving them an excuse to stay away from Church (to their own hurt—and perhaps to my condemnation on the day of judgement). But if, as a loving father, I can ignore the expressions of disrespect; if I can overlook matters that I might have a right to insist on; and if I can love, love and listen to the pain and confusion and cares of my parishioners, maybe over a few years I can earn their respect, earn their respect, not for my sake, but for the sake of their salvation and perhaps for my salvation also. The theory of living together peacefully as a Christian family within the church is deceptively simple. To live it, however, will require all of us to die to ourselves and to trust in God with all of our hearts.